KAMPALA – The limited funding to Uganda Police Force is set to continue in the 2019/2020 budget after the Treasury rejected most of the Force’s budget proposals and slashed it to almost half. 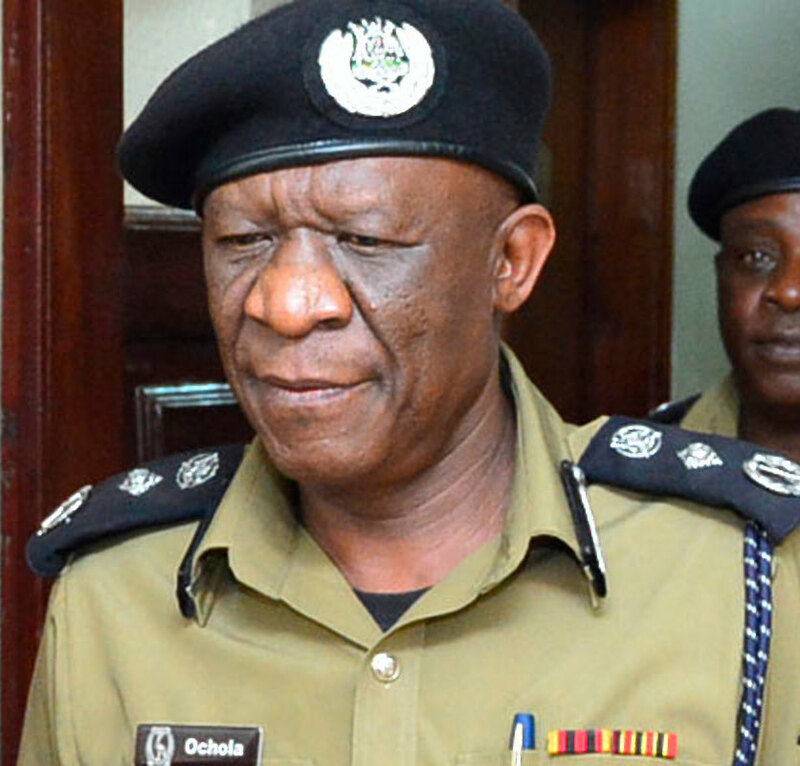 Police had requested for UGX1.3 trillion in their 2019/2020 budget, but only UGX818b was approved compared to the UGX666.2b that was approved in the 2018/2019 financial year. The budget was revised to UGX766b as a result of the supplementary funding of UGX99.7b. The Police Force had budgeted for UGX286.5b in wages, nonwage UGX359.4b and only UGX208.3b was approved leaving a shortfall of UGX151.1b, domestic arrears UGX110.7b only UGX16.8b leaving a shortfall of UGX93.9b. Capital development is UGX448b only availed UGX187b leaving a total of UGX261b while external financing is UGX118.9b bringing the total request to UGX1.3b and shortfall of UGX506b. The budget cuts have left Police with the volume of underfunded priorities like the Criminal Investigations and Intelligence that requires UGX220b but only UGX11.6b was provided leaving a big shortage. The officials from Police who had appeared before the Parliamentary Committee on Defence and Internal Affairs explained that on average, CID registers 40,000 serious crimes and this takes an average of UGX2.1m to investigate a case. The officials argued that the UGX11.6b can only investigate 5,513 cases meaning the remaining 34,487 will not be investigated as it would have become case backlog and this can easily cause mob justice and erosion of trust in criminal justice system additional resources of UGX72.4b needs to be provided. Police also submitted a budget of UGX54.8b for feeding in operations and only UGX32.9b was approved creating a shortfall of UGX21.9b with Police indicating that 26,000 Personnel are deployed in special operations and have to be fed and that each person is fed at an average cost of UGX6, 000 per day which translates to UGX4.7b per month and UGX56.2b. For the budget of fuel, oil and lubricants, Police put in a budget of UGX38.3b but only UGX24.7b was allocated leaving the Force grappling with UGX13.6b shortage with the Force’s officials asking to have the figure revised on grounds that Police’s total fleet is 7,410 of which 1,524 vehicles, 5,830 motorcycles, 53 vessels and three helicopters with this funding a vehicle will consume approximately 2.3 litres per vehicle and therefore require an average of 6 litres per vehicle per day which translates to additional UGX39.3b. For the item of capacity building, Police intends to spend UGX26.96b, however, the Treasury only approved UGX19.16b leaving a shortfall of UGX7.8b with Police calling to have all the money provided arguing that specialized and advanced skills training is required in all Directorates of the Police to enhance personnel skills and professionalism. Mr. Rogers Muhire,the Under Secretary Police told the Committee that the training budget needs to be restored to Shs15Bn annually to meet training needs as opposed to UGX7b additional UGX11.9b provided is especially for the training of 5,000 PPCs for elections. With the Force already battling utility arrears from the past financial years, the matter has been worsened by budget cuts to the two items with Police having submitted budget of UGX24.4b for electricity but are set to receive only UGX16.24b leaving shortfall of UGX8.16b. For the case of water, Police requested for UGX21.2b but allocated UGX11.09b leaving shortfall of UGX10.1b with the Force telling the MPs that the budget provision for utilities is inadequate and the situation is worsened by the increase in numbers of entitled officers by 9,000. For repair and maintenance of vehicles, UGX27.7b is required and only UGX11b was availed leaving gap of UGX16.7b yet the money is required to ensure fleet is in good mechanical condition for optimal functionality. Following the decentralisation of Court compensations by Government, Police budgeted for UGX1.1b and only UGX300m was availed leaving a shortfall of UGX800m and the same budget cuts were realized in ICT requirements with proposed budget requiring UGX3.5b yet UGX839m was availed leaving a shortfall of UGX2.7b.